Linda from Perryton, Barbara from Carlsbad & 1 other bought this item recently. 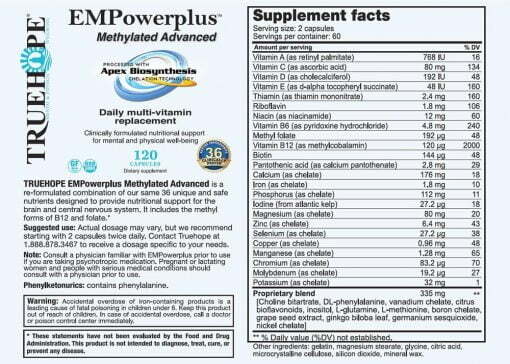 EMPowerplus Methylated Advanced™ is the original and unique formulation of 36 nutrients, only differing in using the methylated forms of two vitamins, B12 and folate. 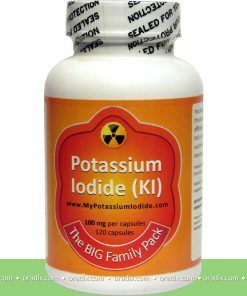 This formula was created for those whose bodies cannot methylate B vitamins as most can. 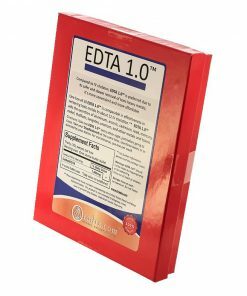 Individuals that suffer with the rare MTHFR gene expression will benefit most from this product. 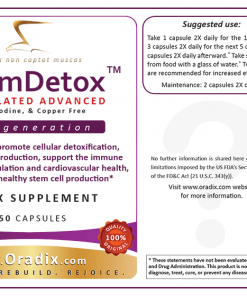 How it works Unlike popular multi-vitamin supplements, EMPowerplus Methylated Advanced™ is formulated using a unique process called Apex Biosynthesis Conversion Technology™. 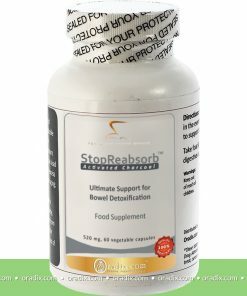 The results provide the body with much higher levels of the key nutrients you need to function at your best and provides EMPowerplus™ at its highest potency. 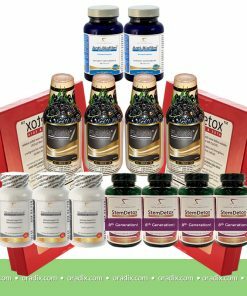 In fact, EMPowerplus™ consists of 36 clinically proven minerals, vitamins, amino acids, and antioxidants. When combined and refined, the formulation becomes EMPowerplus™, the most powerful daily supplement in the world. It was once thought that the brain was static, unable to grow or change. But extensive research and in depth study of epigenetics has shown that it’s remarkably adaptable, able to create new neural pathways in response to stimulus in the environment. 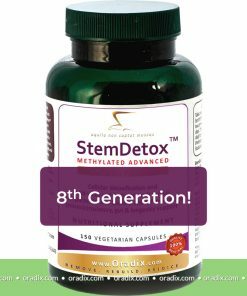 Additionally, it is now understood that the difficulties associated with a wide range of learning disorders and neurobehavioral issues result primarily from environmental influences that affect genetic expression and are;therefore, often correctable using micronutrients. EMPowerplus Methylated Advanced™ is quickly gaining traction as a world-renowned micronutrient formula proven effective in reducing or eliminating the symptoms of Bipolar, Anxiety, Depression, ADHD and related disorders. 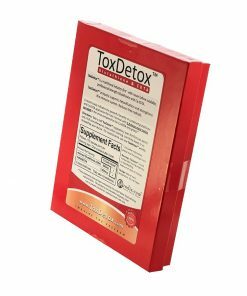 Featured in 25 medical journal publications and recommended by thousands of doctors worldwide, studies have shown EMPowerplus Advanced™ causes significant reductions in the symptoms of bipolar and other mental disorders. 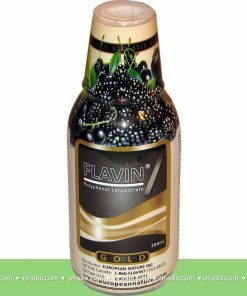 Studies also suggest EMPowerplus Advanced™ can improve brain-cell health and cognitive functioning. 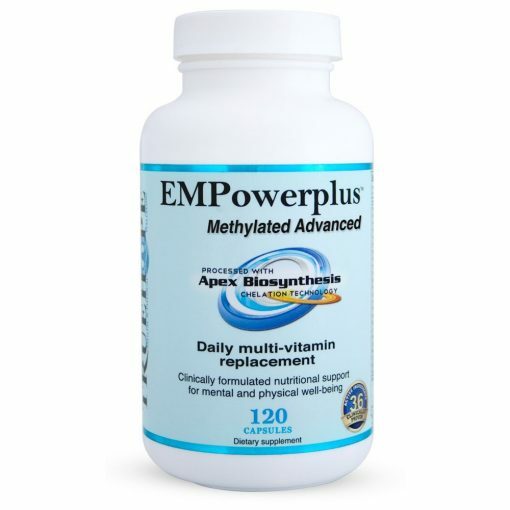 EMPowerplus Methylated Advanced™ has also been shown to greatly reduce the symptoms of stress, making it an excellent alternative to other stress relievers for long-term daily use. 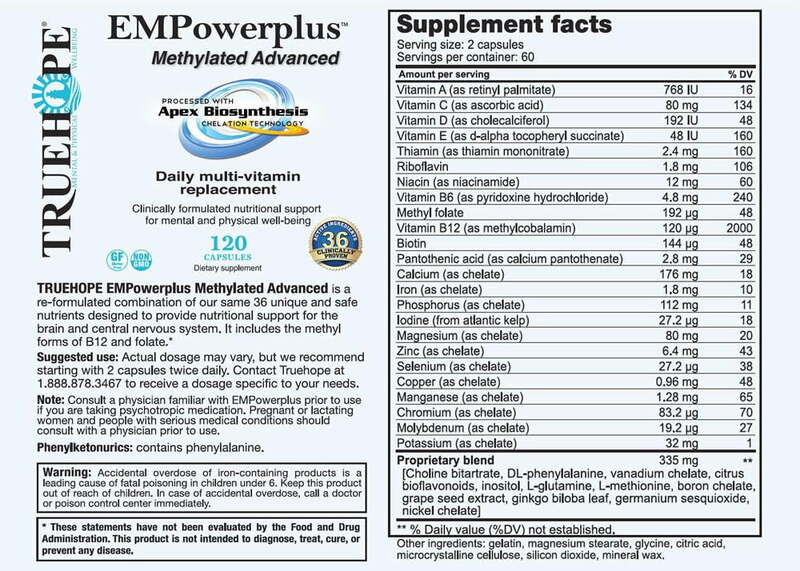 While EMPowerplus Methylated Advanced™ is made up of all-natural, clinically proven ingredients it is important to consider that is should not be taken with any psychotropic medications or any addictive medications without first consulting with MicroNutrient Support. 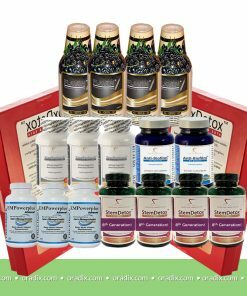 The unique technology used in the micronutrient formulation of EMPowerplus Methylated Advanced™ is called Apex Biosynthesis Conversion Technology™. 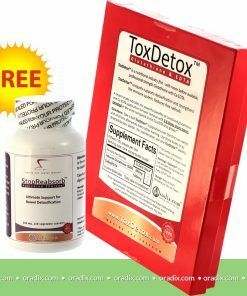 This allows the body to safely and rapidly absorb and use each of the 36 EMPowerplus Methylated Advanced™ essential elements for optimum physical and mental health. 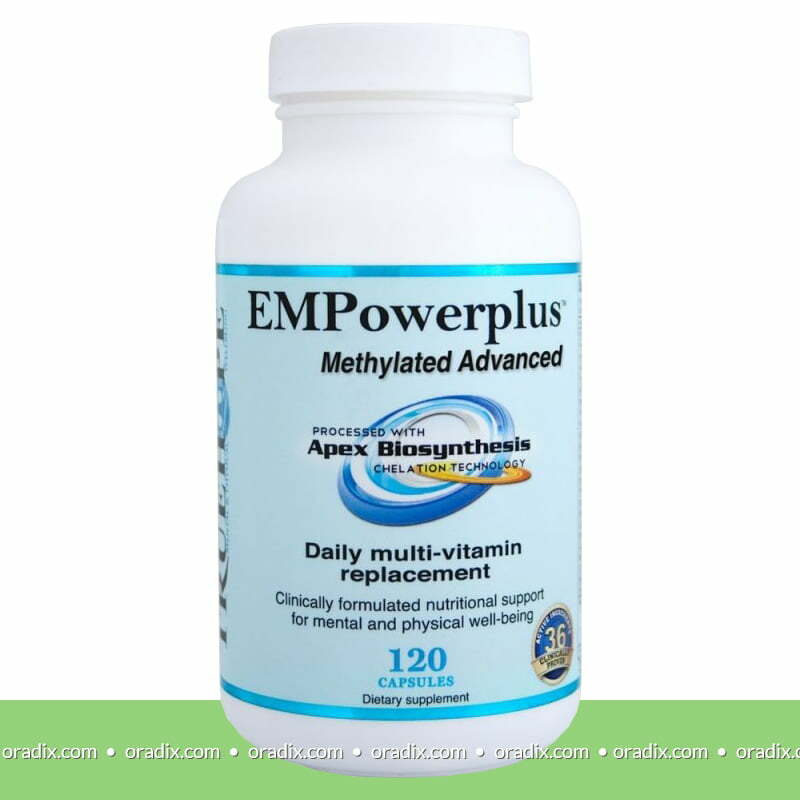 EMPowerplus Methylated Advanced™ is a safe, effective, all-natural formula for common mood disorders. 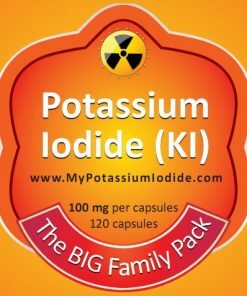 The majority of vitamin and mineral supplements found in supermarkets and health food stores cannot be easily digested due to the size of the particles and the improper ratios of certain minerals that depend on each other for full absorption. 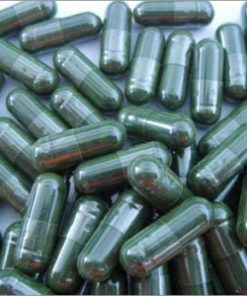 Many supplements also contain inferior chelates and low quality ingredients. 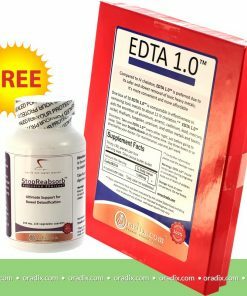 The unique formula and the advanced technology used to produce EMPowerplus Methylated Advanced™ address these common problems, making EMPowerplus Advanced™ the highest quality micronutrient formulation available on the market today.